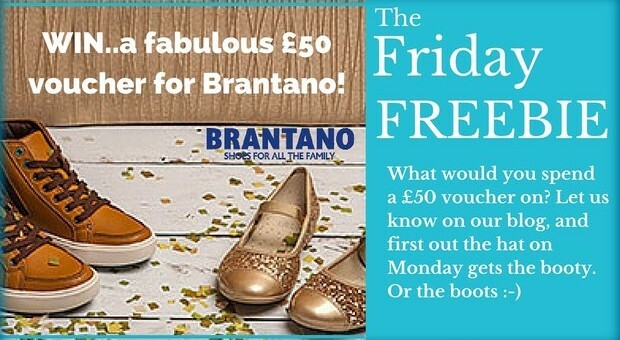 Win £50 to spend online at Brantano! We all know how hard it is to buy for everyone at Christmas especially when you’re a single parent, so Single With Kids are giving you the chance to win £50 to spend online at https://www.brantano.co.uk/. With shoes, bags and accessories there is something for all of the family here. So if you need to get new school shoes, slippers for grandad or treat yourself to a new handbag and shoes for that Christmas night out all you have to do is leave a comment as to what you’d spend the £50 on. The winner will be chosen from the hat and notified on Monday, 21st December. Good Luck! Entry is open to residents of the UK and Eire aged 18 or over, except for employees of the A Jones & Sons Limited or Brantano (UK) Limited, [https://singlewithkids.co.uk/] their families, agencies or anyone else associated with the competition. If you are under 18, you must obtain consent from your parent/guardian to enter. By entering into the competition, you confirm that you have this consent. The (one) winner will be selected on 21st Dec 2015 and will be notified by email no later than 22nd Dec 2015. Brantano Footwear’s or https://singlewithkids.co.uk/ decision will be final and no correspondence will be entered into. There will only be one winner. There is 1 prize consisting of a Brantano Footwear voucher with a value of £50 to spend online at www.brantano.co.uk. Voucher terms and conditions apply. If the Prize is not claimed within 14 days of the winner being notified, Brantano Footwear reserves the right to award the Prize to an alternative winner. Prize is non transferable, non refundable and non negotiable. There is no cash alternative. Brantano Footwear reserves the right to substitute the Prize for one of its choosing which has a value the same or greater than the original prize in the event of circumstances outside of its control. Winner’s details will be available for 6 months after the draw by sending a SAE to Newsletter Prize Draw, Brantano Footwear Marketing Department at the address below. Brantano Footwear reserves the right to (i) cancel this promotion, (ii) cancel or refuse any individual’s entry and (iii) amend these terms and conditions (and will use reasonable endeavours to notify changes to entrants and potential entrants). These terms and conditions shall be governed by English law and exclusive jurisdiction of the English courts. 10. Promoter: Brantano (UK) Limited. Registered no. 288766/3472784. Registered office: Interlink Way West, Interlink Business Park, Bardon, Coalville, Leicestershire, LE67 1LD. Wow, this would be spent on a new pair of school shoes for my 8 year old who has managed to wreck them in one school term and a pair of trainers for his 2 younger brothers each so they don’t do the same! This would leave a bit of spare to treat myself!! I’d buy boots. A girl can never have enough pairs of boots at this time of year! As most of my money goes on buying things for my son, I would treat myself to a lovey pair of shoes for myself!